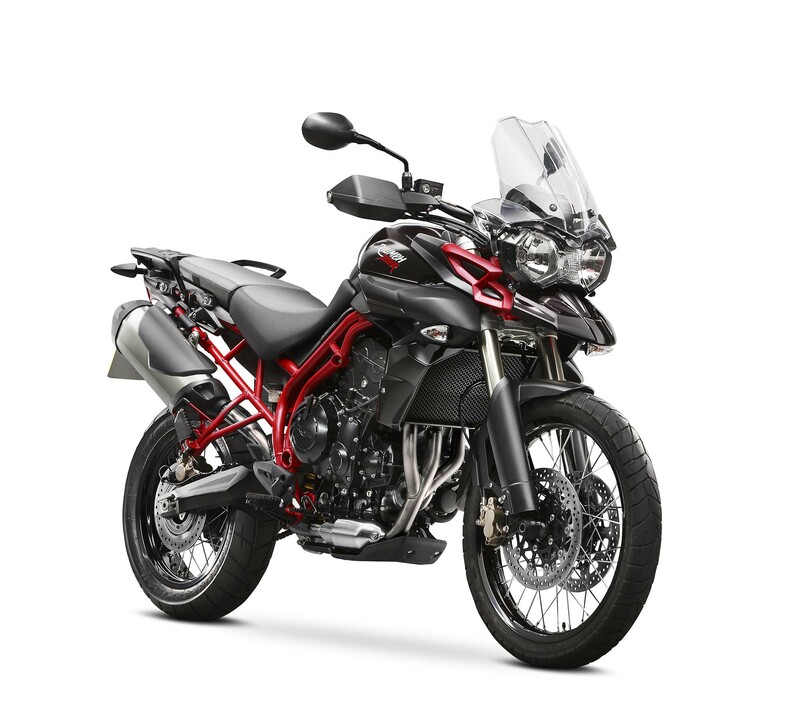 Unless you are into the cruiser thing, Triumph’s press event at the 2013 EICMA show was a fairly timid affair, with talk about the company’s future growth, its plans for emerging markets, and the high-fives over 2013’s business dealings being the soup de jour. 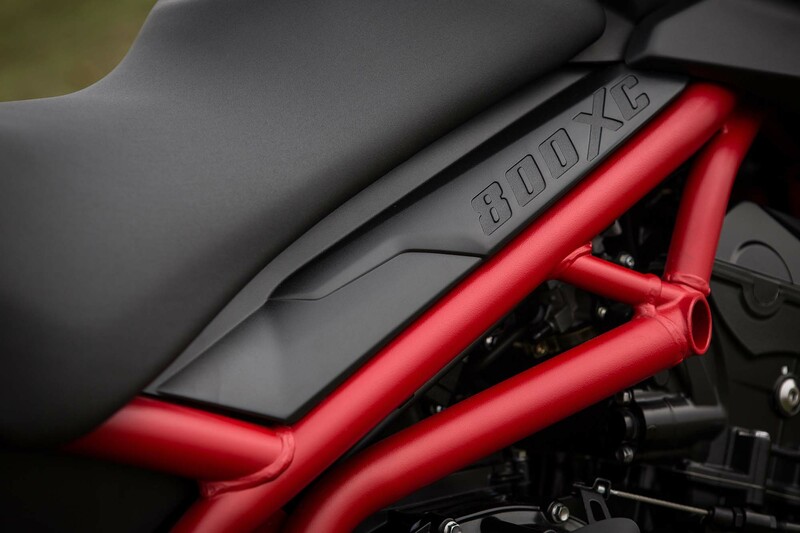 However, we were tickled by one of Triumph’s more minor announcements, the 2014 Triumph Tiger 800 XC SE. 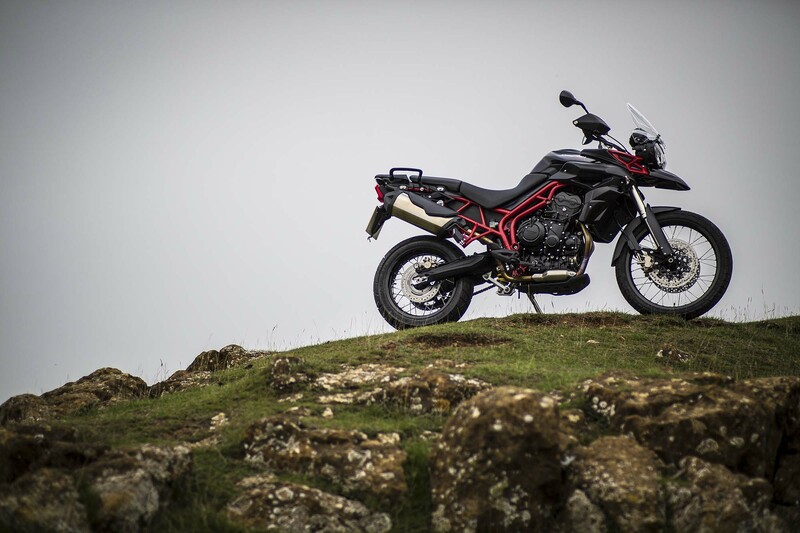 Really just a cosmetic reworking of the British brand’s middleweight adventure-tourer, the bright red frame and subtle “Volcanic Black” paint scheme were enough to capture our blogger ADD. 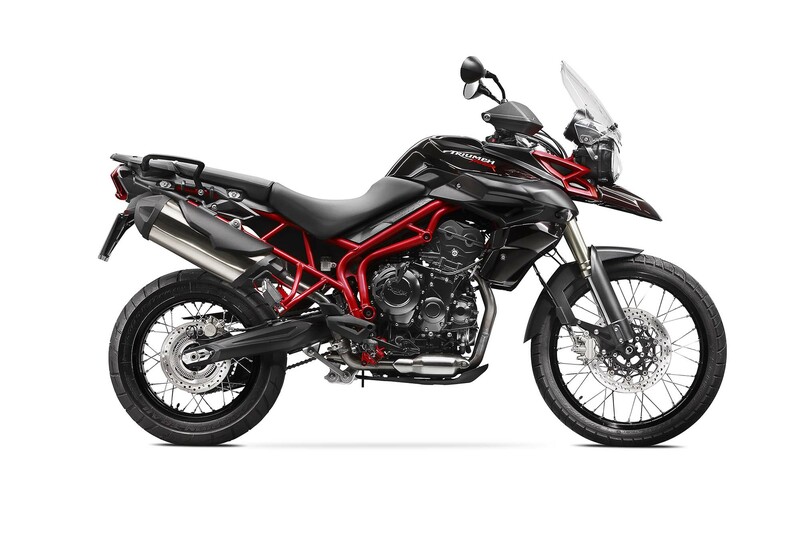 From afar, the Triumph Tiger 800 XC SE looks like a blacked-out ADV machine, with a popping frame. But upon closer inspection, and when the light hits it just right, the red metallic flakes in the black paint pop-out with added dimension. It’s a cleverly lurid effect, and we like it. No word on whether the machine will come over to the US — we can dream though, and until then, here are some press photos to whet your appetite. We will post up some up-close shots later in the week, when the new bike slog is done, that really show what we’re talking about. Until then, enjoy.